Whiskey rock, need we say more? Venice Sunlight are a 4-piece Philadelphia that are meant to be listened to loud. They started back in 2006 and have been through a few lineup changes since. In that time the band released an EP called Vs. the Rabid Rabbits and supported it with a northeast tour. 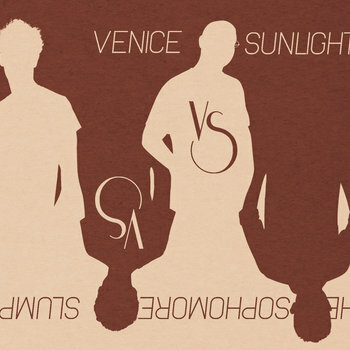 In 2012, Venice Sunlight released their EP, Vs. the Sophomore Slump, which is available at venicesunlight.com. They will be playing this Friday, 8/23 at Dave & Buster’s Dockside Bar. Also on the show is The Good Excuses, Fooling April, Curtis Jr, and Tess Emma. This is a great place to see a show, and a great lineup of bands! All week we will be playing this EP in heavy rotation. You will also hear a track at the beginning of every Gashouse Live (weekdays 6pm ET). So make sure you tune in, leave some feedback in our chat room, and head to Dockside Bar this Friday night!